More info on the details of winners and photos of all entries for 2014 coming soon. What is the Sand Festival? 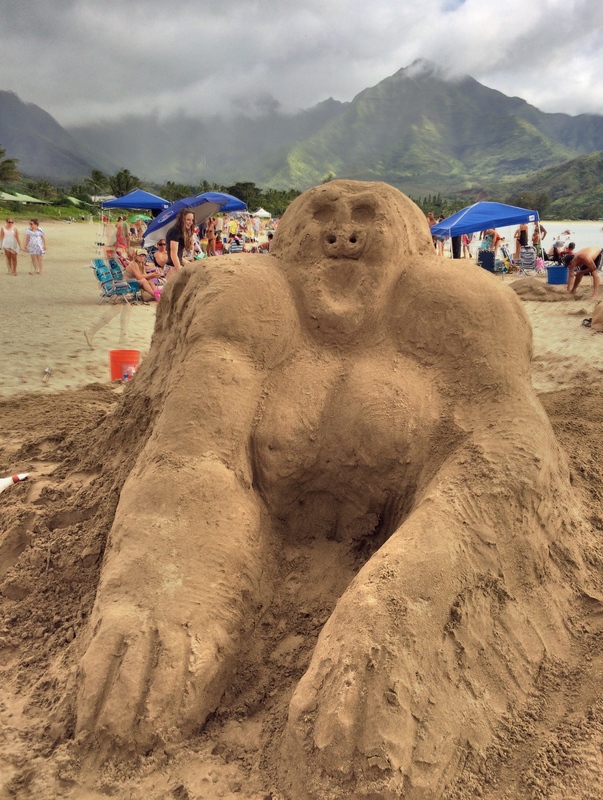 FREE for all ages one day sand castle/sculpting contest and music festival each year on Kauai. It is totally non-profit. Under the auspices of INCFworld.org which is a 501(c)(3) and able to take donations and prizes. All prizes awarded by judges to the best sculptures by all ages. Your company name and link can be here too. Contact us if you want to donate a prize. Hawaii should have the best sand sculptures in the world. Join the other sponsors above to make the contest bigger and better. We want you. You can make it a bigger and better event just by being you. What do you like doing? There are little jobs making signs, posters, admin, calling, organizing, graphics, emailing, computer stuff to do. However you want to help. No pressure, its Kauai. Use the feedback link below to contact us. Your company name and link can be here for 2015. Contact us if you want to donate a prize. Hawaii should have the best sand sculptures in the world. Join the other sponsors above to make the contest bigger and better. Your company can be here in 2015 just contact us. Hawaii should have the best sand sculptures in the world. Join the other sponsors above to make it bigger and better. Your company can be here in 2014. Hawaii should have the best sand sculptures in the world. Join the other sponsors above to make it bigger and better. Hawaii should have the best sand sculpture in the world. Join the other sponsors above to make it bigger and better. those last 3 are located by the pier. Add your company here. Contact us.